Since its beginning in 1996, KDE has developed as an organization creating a wide range of software. 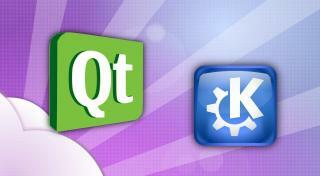 From the start, KDE relied on Qt, the toolkit that helps to power KDE’s software. KDE and Qt have always worked together closely. This partnership has grown even closer since Qt development moved to the Qt Project. The quality of current and future KDE applications depends on innovation and improvements within Qt. A few days ago, the Qt Project achieved a major milestone—the release of Qt 5.0. The release included significant contributions from KDE Community members. Congratulations to everyone who made a contribution! This release and the Qt ecosystem strongly support the continued growth of KDE and its development. KDE teams, projects, developers, and associates are grateful for the quality, consistency, efficiency, creativity and reliability of Qt. Congratulations and thanks to the Qt Project for great software and a strong partnership with KDE. A wonderful Christmas gift. Thanks for the hard work of everyone involved!